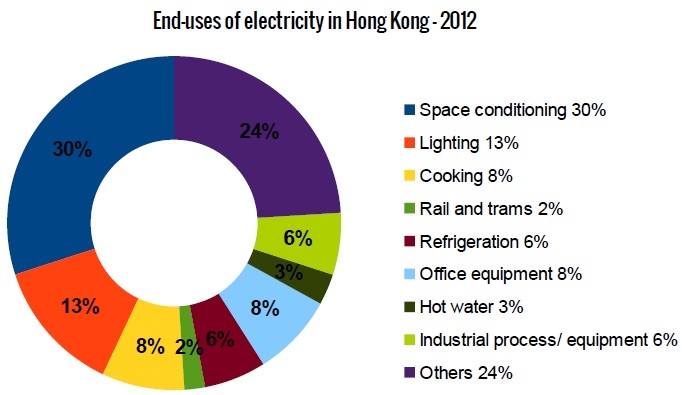 Hong Kong intends to cut down its energy intensity by 40 per cent from base year level 2005 to 2025. The document “Energy Saving plan for Hong Kong’s Built Environment 2015-2025+”, published by the government, presents the project. The focus is on the energy intensity, not on the amount of energy consumption. Energy intensity refers to the units of energy per GDP (Gross domestic product). A cut of 25 percent has already been achieved since 2005 until 2015. So 15 percent are still ahead. With 90 percent, the building sector is responsible for the majority of electrical energy consumption. High outdoor temperatures and a very high average relative humidity of 78 percent cause a high airconditioning usage. Thus, it is understandable that the government stands up for green building since the 90s. 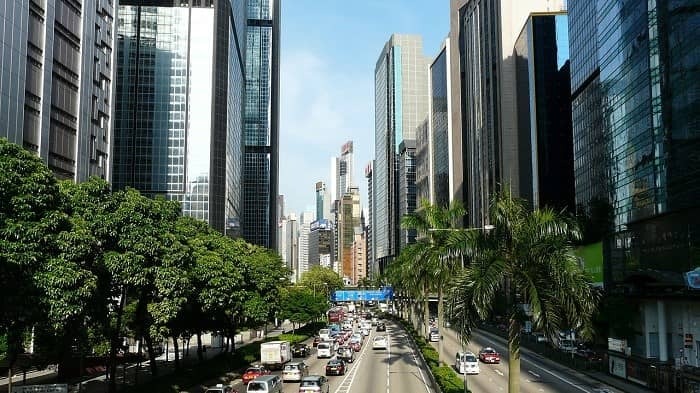 Amongst other projects, Hong Kong plans to implement a district cooling system at the Kai Tak Development. Kai Tak Development is an urban development plan for the area of the former international airport of Hong Kong. The aim ist to provide chilled water for buildings in the new development area for centralised air-conditioning. It is more efficient as central cooling systems, reduces maintenance and operation cost or saves plant room space of approximately 70 percent for end-user buildings or reduces. The electricity consumption by air conditioning for Kai Tak is approximately 284 MW. A maximum annual reduction of about 60,000 tonnes of carbon dioxide emissions and a saving in electricity consumption of 85 million kWh per year are expected. Approximately up to 35 percent of the electricity used in a conventional air-cooled air-conditioning system can be saved. 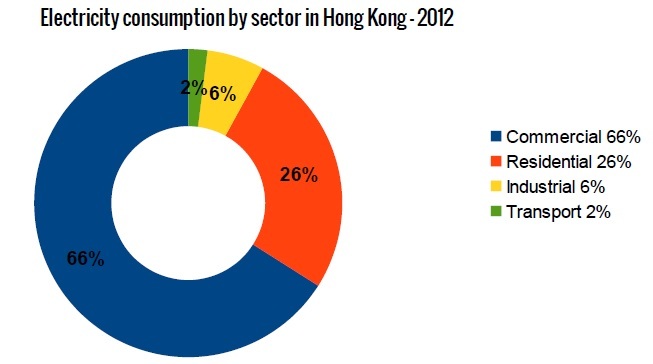 Over the past decades, Hong Kong gathered different experiences in the field of energy efficiency and energy conservation. In the following some examples.